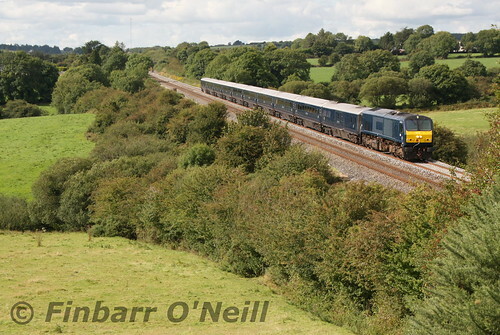 GM 216 River Dodder passes through Rathduff with the 1420hrs Belmond Grand Hibernian from Dublin Heuston to Cork. Access to this location is via a farmer's property. Permission was sought and granted to get the photograph.